The Karnataka election is turning out to be a great thriller. Till noon, the BJP was rejoicing. Every BJP leader was jubilant, they were confident that BJP would have another state under its wing, then suddenly the numbers slipped and were six short of the majority mark. By 3 pm, the Congress announced that it would extend support to the JD(S) to form the government. However, at the larger level, the Congress has lost an election which it should have won. And to my mind, the real winner in these elections is H D Deve Gowda. His party has done much better than expected. Deve Gowda had till today been giving mixed signals. On the face of it, he has said he is a secular person who would have no truck with the BJP. But those who know him well have all along been saying that what he says and what he means are two different things. He is a hard-core politician who does not forget his enemies. Remember that Siddaramaiah left his party in deep acrimony more than 10 years ago. Deve Gowda is as vengeful as Narendra Modi and Amit Shah are today. In the 2003 assembly election, when the S M Krishna-led Congress was in a position to form the government and it needed support from Deve Gowda's party, his first condition was that he did not want Krishna, his bitter rival from the same community i.e. Vokkaliga, as Chief Minister. A lackluster Dharam Singh was chosen as the Chief Minister and only then did Deve Gowda extend support. And then his son H D Kumaraswamy revolted against him, aligned with the BJP and became the Chief Minister and brought down the coalition government with the Congress. Deve Gowda cried that his son was good for nothing but even then it was said that the father and the son had a clear understanding and what the son had done was well-crafted strategy. That was the time when Siddaramaiah was waiting in the wings with an ambition to succeed Deve Gowda. When his ambitions were not fulfilled, he revolted and joined the Congress. If Deve Gowda were waiting for revenge, this election was that opportunity. By the time the Congress realised its mistake, it was too late. Siddaramaiah's statements after polling that he was ready to vacate the seat for a Dalit to be the Chief Minister was a reflection of that reality. The Congress along with political pundits was quite gung-ho about Siddaramaiah. They were pleased that here was a leader who was strong on his own turf. 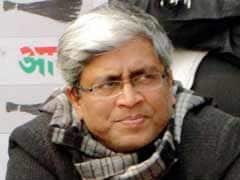 The Congress let him dictate terms, Rahul Gandhi played second fiddle to him. But Siddaramaiah leading the party meant any understanding with JD(S) was out of the question during the elections. This was an opportunity for the BJP. Modi and Amit Shah forged an understanding. Modi praising Deve Gowda and vice versa was perceived by many as bad strategy which it was not. 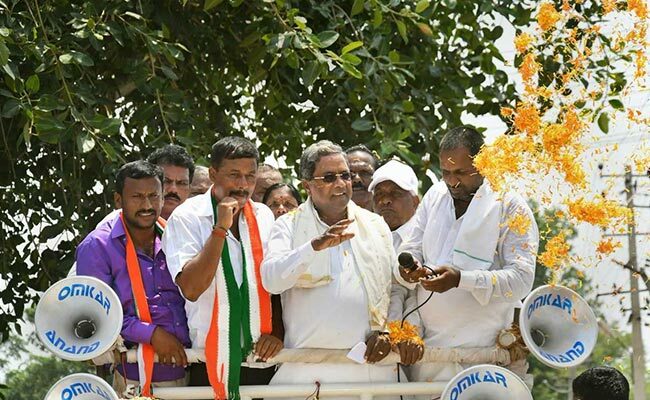 For the Congress, dependence on Siddaramaiah was the blunder but then it had very little choice. In no way could it have dumped him. And now it is paying the price. Siddaramaiah played the card of sub-nationalism and Kannadiga pride but obviously did not get any dividend. It seems to have backfired or maybe it did not catch the imagination of the people. The card of a separate flag for the state did not help either But. Modi, being a smart politician, realised that Kannadiga pride might work for the Congress. 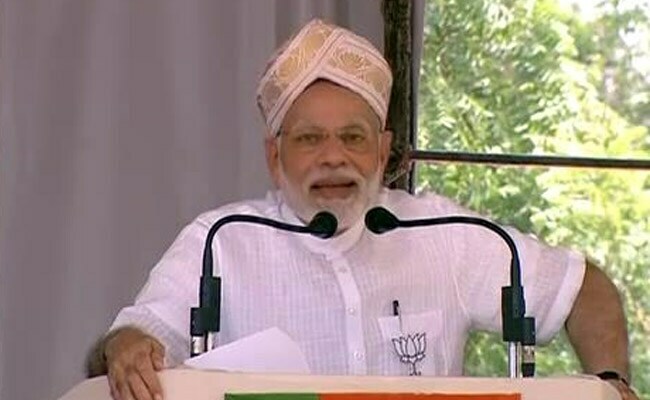 So while campaigning, he dropped names of war veterans like Field Marshal Cariappa and General KS Thimayya and spoke of how Congress leader Nehru had insulted the two Kannadiga war heroes. Historians mocked him by saying that the Prime Minster does not know history. But the more this fact was debated, the more the discussion veered to how the Congress had insulted Kannadiga pride. The problem with intellectuals and secular warriors is that they want to fight an intellectual battle with Modi and Amit Shah, who have more ears on the ground and probably understand people's psychology better than their contemporaries. Modi has proved yet again that elections are not about facts but about fiction, about emotion, not reason. It is also about getting the chemistry right on the ground. One thing has to be understood, whether we like it or not, Modi has gladiatorial skills. He fights every election with a killer instinct. For him, every election is a matter of life and death. He does not leave a single stone unturned. For him, what matters is victory. And in his opinion, it is the end which justifies the means. Let me ask a question. How many leaders and political parties would have dared to seek the support of the Reddy brothers? How many would have dared declare a tainted leader like Yeddyurappa the Chief Ministerial candidate? The Reddy brothers for the past few years have been treated as untouchable. Leaders were not ready to touch them with a barge pole. But the BJP went ahead and gave tickets to them. Sriramulu was given the hint that he would be the Deputy Chief Minister if the BJP formed the government. Even Yeddyurappa was reluctant to go with them. But Modi and Amit Shah did not flinch. Projecting Yeddyurappa was important for the consolidation of Lingayat votes at a time when Siddaramaiah declared them a separate religion. Vajpayee and Advani would have hesitated to bring back Yeddyurappa and aligning with the Reddy brothers. But Modi and Amit Shah don't suffer from such complexes. The organisational leviathan which the RSS and BJP have painstakingly built over the years is a huge plus for Modi. Congress and other political parties don't work on their organizations and they don't care about their cadre. They wake up only at the time of elections. This strategy won't work for them. Especially since the RSS cadre is active throughout the year. The CPM could rule West Bengal for 35 years because every other person in the state was a communist. Today, the hard fact is that almost every other person in our neighbourhood is someone who talks about Hindutva. Does the opposition have a strategy to counter this? I am afraid - No.